Aelia Foundation Classes for WooCommerce, now with automatic updates! Aelia Foundation Classes (AFC) for WooCommerce and has been updated to version 1.1.3.140910. This new version brings just one improve, yet a very big one. From this version on, the plugin will automatic updates. That’s right! We installed an automatic updates service on our web servers, and the Aelia Foundation Classes plugin will now use it to determine when new updates are available. It will then show a notifications in the Administration area, and also allow to install updates automatically, just like standard WordPress plugins. Sounds great! How can I get it? Simply click on the link above to get the latest version of the Aelia Foundation Classes for WooCommerce. The plugin is completely free. Once installed, you will automatically be informed of new updates, and you will be able to install them with one click. Housekeeping just became much easier! 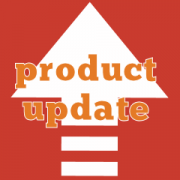 https://aelia.co/wp-content/uploads/2014/09/article-badge-product-update-e1507474582326.png 240 240 diego https://aelia.co/wp-content/uploads/2014/07/AeliaLogo_201310.png diego2014-09-11 09:36:202014-09-11 09:36:20Aelia Foundation Classes for WooCommerce, now with automatic updates! Aelia Foundation Classes (AFC) for WooCommerce and for Aelia Foundation Classes (AFC) for Easy Digital Downloads have been updated to version 1.0.12.140908. Improved logic used for session handling. The new logic includes additional checks to ensure that the session is available before using it. Added preliminary information to allow automatic updates of the plugin. We are now working on implementing automatic updates for both the AFC plugins. This will simplify the management and maintenance of plugins which are based on it. Simply click on the links above. The plugins are completely free. Aelia Foundation Classes (AFC) for WooCommerce and for Aelia Foundation Classes (AFC) for Easy Digital Downloads have been updated to version 1.0.10.140819. Optimised requirement checking logic. The logic used to check fore requirements and load plugin dependencies has been optimised to improve compatibility with 3rd party plugins, such as WooCommerce Booking. Aelia Foundation Classes for WooCommerce and for Easy Digital Downloads have been updated to version 1.0.9.140717. Optimised auto-update mechanism. The new logic is faster and more efficient, allowing plugins to perform their auto-update procedure more quickly. Aelia Foundation Classes for WooCommerce and for Easy Digital Downloads have been updated to version 1.0.8.140711. Improved semaphore used for auto-updates to improve performance. Aelia Foundation Classes for WooCommerce and for Easy Digital Downloads have been updated to version 1.0.7.140626. Added geolocation resolution for IPv6 addresses. The IP2Location class is now able to detect the country of an IPv6 address.